You know the drill. A young person is in the woods with nothing but a little hand axe and figures out how to survive. A hatchet is one of the most versatile tools you can carry with you in the outdoors. Below is how you can use one and still have your toes and fingers intact. Different jobs need different jobs. A huge axe will chop wood more effectively, however a huge axe is also huge and heavy. 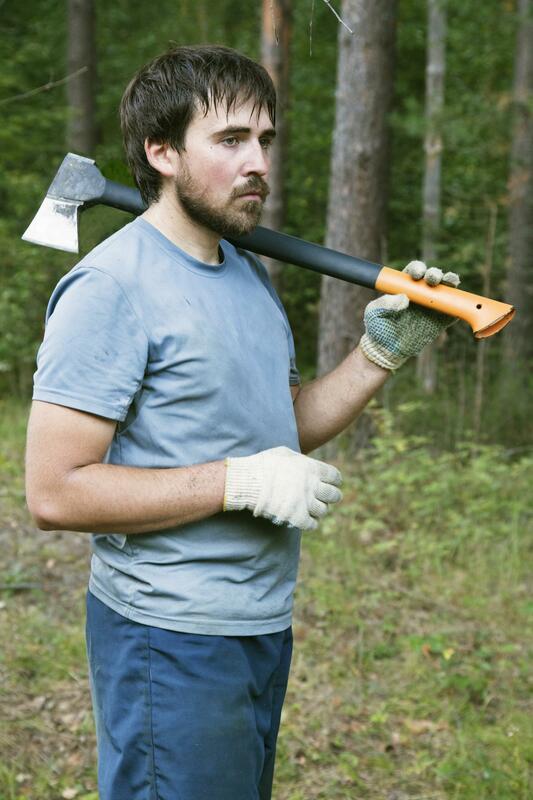 A hatchet is a small axe for single-handed use, which makes it compact, easier to carry, and lighter. You can still do the same work with a hatchet, it’ll just take more energy and more time. But still likely less time and less energy than it’d take with a knife. What should I look for in a hatchet? Not all hatchets are made the same. Pick up an inexpensive Coleman and it will be dull right out of the box, hard to sharpen, and the head will be crafted with a cheap heat treat, meaning it won’t hold an edge and the metal handle will put the impact from every chop directly into your arms and hands. However, just like with knives, you can get too caught up in the quality rabbit hole. $50 is enough or a good-quality hatchet that will perform well for a long time without any complaints. Most folks like a hatchet with a wooden handle, that material’s capability of absorbing impacts and vibrations and to withstand damage from many angles is unbeatable by fiberglass or steel. Wood also provides some sort of repairability should your head get loose over time. Most people also like a head with a straight line through the top, a tomahawk-style blade that falls below the body of the head, and a pronounced hammer at the rear.